Use it as a bag in bag, pouch, or many other uses! Suitable for MEN and WOMEN! 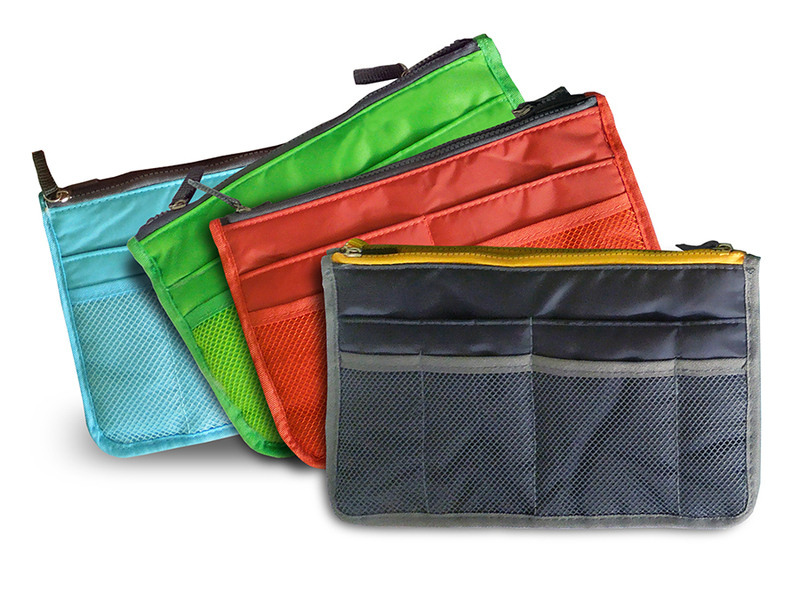 Carry around your accessories for work, notebooks, cell phone, and the minimum amount of necessities slim and compact. On the sides of the bag are snapin buttons for adjusting its thickness. 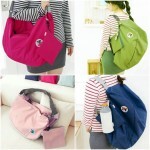 There are even 4 colors for you to choose from! Its handle makes it easier for you to hold on to, and double fasteners make it difficult for others to see the contents of the pockets from the outside. These functions are undoubtedly useful for crimeprevention. 13 pockets of big and small sizes are made into the bag for you to put all sorts of things in. Use it as a bag in bag for your keys, a cosmetic bag for travel, or a tool pouch for the businessman! Also gusseted to be placed on your desk for use as a stationery holder. Turn it smaller by buttoning up the 4 snap buttons on the sides. And button them up for neat and compact organizing! There are two pockets attached with fasteners. Put your important items inside to make it possible to carry around the bag just on its own. Its handle allows you to take it out separately for lunchtime or use it as a sub bag during travel. GREY+YELLOW, GREEN+GREY, ORANGE+GREY, and BLUE+GREY. Stylishly bicolored like North European goods, suitable for all. Please do not use drying machines for it will cause the product to become out of shape.